KARACHI: The Karachi Grammar School Model United Nations team won Best Large Delegation at the annual Harvard Model United Nations conference. The conference was hosted by Harvard University in Beijing, China from March 15 to March 18. Some 1,200 students from over 25 countries participated in the international conference. 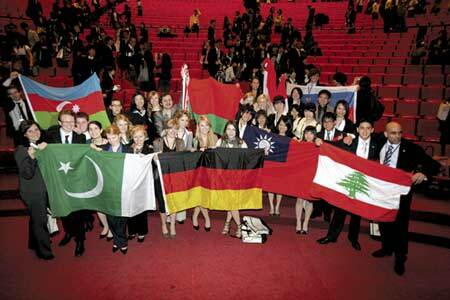 KGS’s 10 student team was the only Pakistani delegation to win an award out of the 160 delegations participating. Azzah Hyder, the headgirl and Alizeh Atif won Best Delegates while Omar Mahmood, Faiz Khalil and Saad Ahmed Khan won Outstanding Diplomats. Shayaan Abdullah, the headboy, Sophia Ashai and Areeba Tariq also won Honourable Mentions. Participants of the 2010 World Model United Nations pose for a photo. is awesome, great written and include approximately all vital infos.